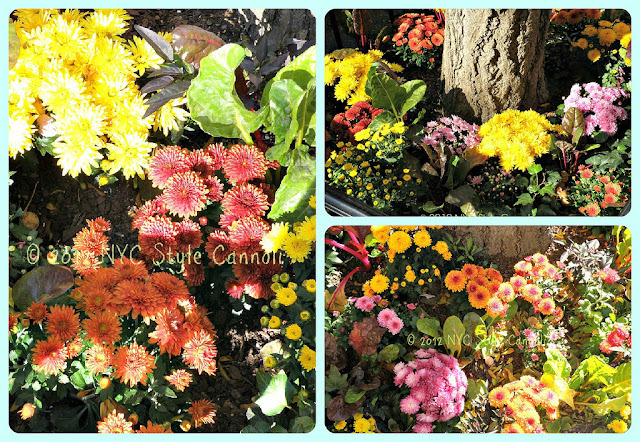 Photo Gallery Thursday " Fall Flowers"
These lovely flowers were found on the Upper East Side. They were around the trees that line the streets. There is so much care taken into the neighborhoods in New York City. The folks who live in each area take such pride in how everything looks. It should be that way in every city. Hope you are enjoying the first weeks of September and the Fall 2013 season. It's sad to see summer fade away but the bonus is the gorgeous autumn colours. I love to see communities take care of their area adding floral displays. It makes such a difference.